We have been offering vehicle graphics in Glasgow and throughout the surrounding for a number of years. All of the vehicle graphics we offer are fully customised and tailored to suit our customers’ needs. Whether you’re in need of graphics to promote your business or as advertising for an event, then you can count on Glasgow Creative to create vehicle graphics for you. 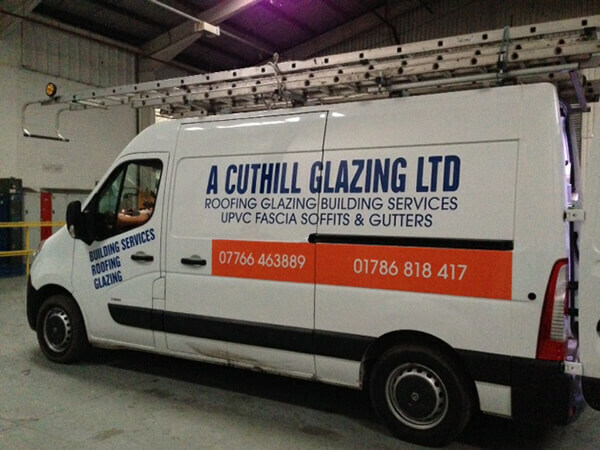 As one of the leading vehicle graphics companies in Glasgow, we are able to provide our customers with a range of high quality vinyl graphics for vehicles. At Glasgow Creative, we believe that vehicle lettering and graphics are a brilliant and free opportunity to market your business. We design and print all vehicle graphics in-house, to ensure the highest standard of finish and best possible service is provided to our customers. No matter what your requirements might be, you can count on Glasgow Creative to design and print vehicle graphics for you. If you’re based in Glasgow or any of the surrounding areas and are interested in having vehicle graphics applied to your car or van, then be sure to get in touch with Glasgow Creative. 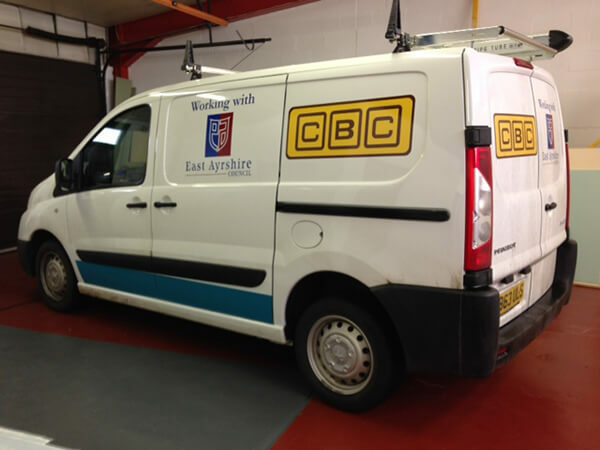 We offer a range of vehicle graphics, which are printed and cut to specific requirements. 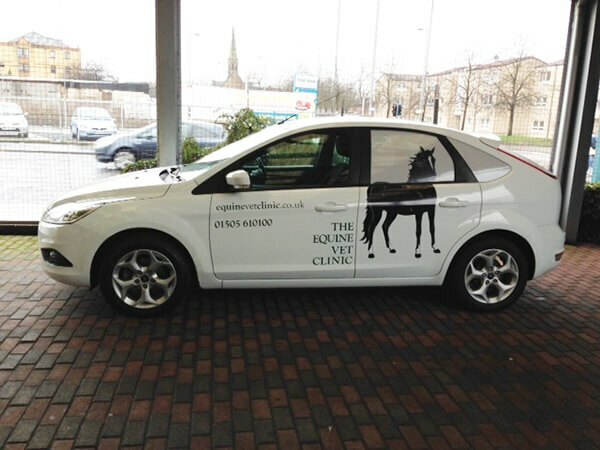 Full vehicle wraps are one of the most popular options that we offer at Glasgow Creative; with both domestic and commercial customers purchasing them. Investing in a vehicle wrap can help to protect the paintwork of a vehicle, whilst promoting your business or an event you might be hosting. The great thing about vehicle wraps is they can be used on either a temporary or a permanent business. Made from vinyl, they can easily be removed and replaced. When it comes to printing vehicle wraps and graphics, we use a range of quality and industry recommended materials and inks, to ensure we achieve a high standard of finish. No matter what type of design or colour you require, we can design and print it for you. All vehicle wraps are applied by trained professional, to ensure your vehicle showcases your business or event in the best possible light. 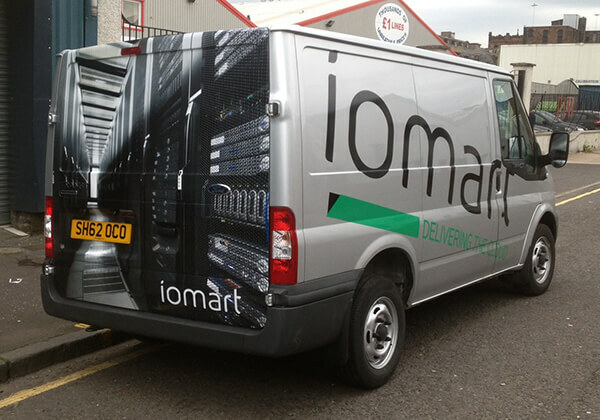 When you choose Glasgow Creative for our vehicle graphics, we’ll provide you with an installation service. 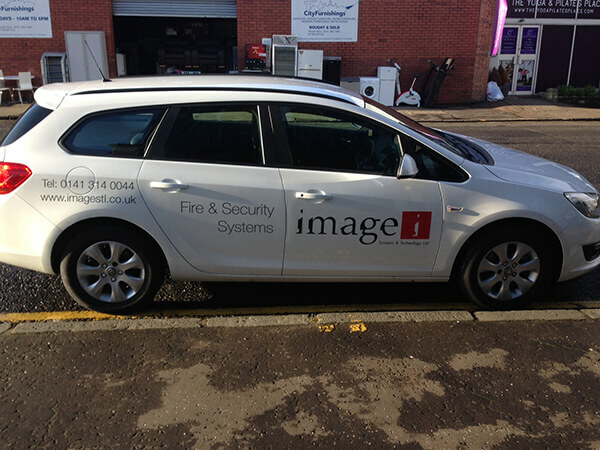 We offer vehicle graphic installations throughout Glasgow and the surrounding areas. With our professional vehicle graphic, you can enhance the look of your van or car. 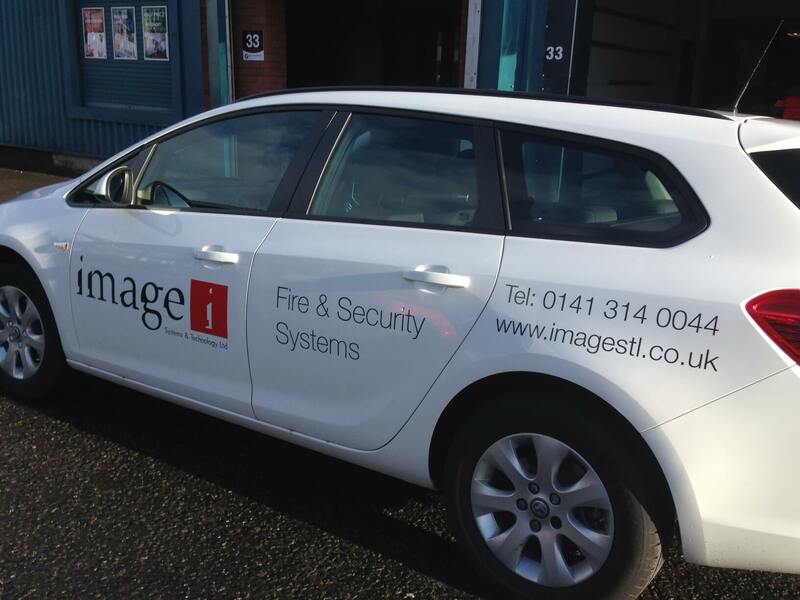 No matter how what size, style, images, graphics or colour you require, you can count on Glasgow Creative to design, print and install your vehicle graphics for you. Whenever we undertake vehicle graphic installation, we ensure a professional and efficient service is provided. 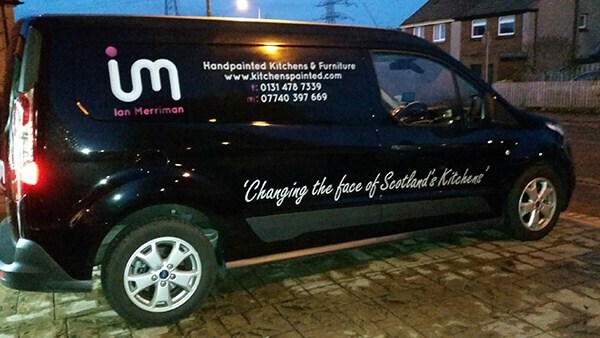 Why Choose Us For Vehicle Graphics in Glasgow? When it comes to needing vehicle graphics in Glasgow or any of the surrounding areas, be sure to get in touch with Glasgow Creative. We offer a range of graphics for vehicles covering everything from vehicle letting to car graphics and much more. As one of the best free advertising methods on the market, there’s no reason not to use vehicle graphics to promote your business. Get in touch with Glasgow Creative today and we’ll be happy to provide you with a quote. What types of vehicle graphics do you offer? As one of the leading vehicle graphics companies in Glasgow, we pride ourselves on offering a comprehensive range of graphics for vehicles. We offer everything from full vehicle wraps to individual business logos. We price all printed vehicle graphics on an individual basis and the cost of your graphics will depends on the size, style and type your require. Get in touch and we’ll be happy to provide you with a quote. How do I arrange to have vehicle graphics printed and applied to my vehicle? If you’re based in or around the Glasgow area and are interested in any of the car or van graphics we offer, then be sure to get in touch with Glasgow Creative. No! 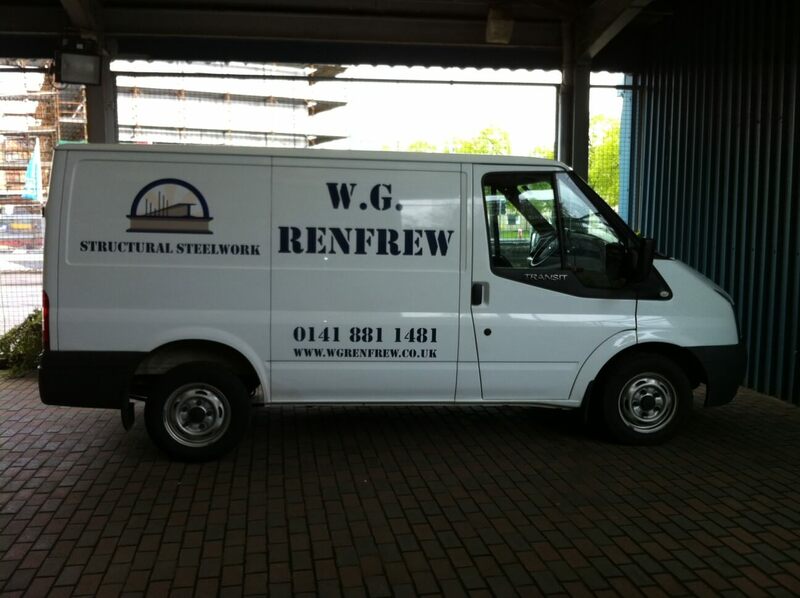 In addition to covering the whole of Glasgow for our vehicle graphics, we are also able to cover a number of the surrounding areas. No matter what area you might be based in, in or around the Glasgow area, be sure to get in touch with us and one of our team will be more than happy to assist you.